A hundred years after the first football rules were set, the International Football Association Board (IFAB) met (on 6th March 2010) to discuss a number of footballing issues; these included the role of the 4th official and a “discussion on the latest developments concerning goal line technology”. FIFA dismissed the concept of goal line technology in 2008 following tests of video replay system and the Hawkeye motion analysis system. IFAB were seeking systems that gave decisions correctly 100% of the time and claimed that neither system apparently did this (a comment subsequently rebuffed by Hawkeye). So, we have electronic line calling in tennis. 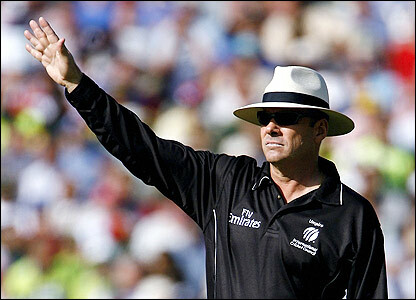 We have umpiring referral systems in cricket. We have video review in Rugby. Come on IFAB, get with the times, you know it makes sense. But does it? Are goal line systems accurate enough? Will video review make things easier? What are the limits of technology for these sort of questions? THE CASE FOR THE PROSECUTION OF TECHNOLOGY. CASE 1. 18th November 2009. France are playing Ireland with a place in the 2010 FIFA World Cup Finals at stake. France score in extra time to take them through and replays show that Thierry Henry clearly handled the ball in the build up. Every view of the goal shows the same thing – it was hand-ball and the referee got it wrong; there are clamours for video technology to be introduced. Case for technology proven: 1-0 to video technology. Figure 1. Thierry Henry handles the ball in the build up to France’s decisive goal. CASE 2. It’s the 4th match in the 2010 cricket Test between England v South Africa; England collapse dramatically, with many blaming dubious decisions by the umpire Daryl Harper. Cricket has a video review system which shows that AB de Villiers had touched the ball with his gloves and bat. Harper apparently didn’t have the sound turned up which would have helped him hear any impact and chose not to give de Villiers out. Cue uproar (England fans) and delight (South African fans). There is now a review of the review system and criticism of its implementation. Own goal by video technology. Case against technology: 1-1. Figure 2. Daryl Harper, the cricket umpire at the centre of controversy over reviewing systems in cricket. CASE 3. 17th March 2007. Blackburn Rovers 1 West Ham 2. In one of the greatest sporting travesties of the modern era (Ok, so I’m a Rovers fan). A shot by Bobby Zamora clearly rebounds off Tevez who was standing on the goal line. The referee’s assistant gives the goal despite footage which clearly shows the ball(let me say this again – CLEARLY) not crossing the line. Case for technology: 2-1 . Figure 3. 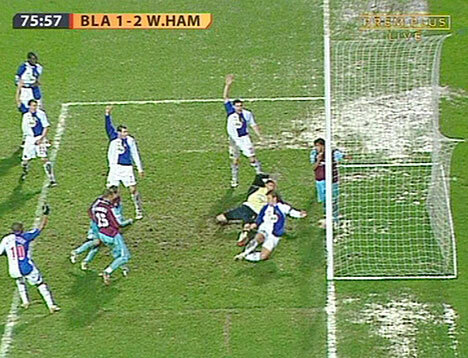 West Ham’s goal is given despite it rebounding from Tevez standing on the line. CASE 4. At Indian Wells in 2009, Hawkeye makes a dramatic error in the game between Andy Murray and Ivan Ljubibic. Hawkeye gives the ball in, despite it clearly being out. The problem is that the shot was a lob which bounced twice. 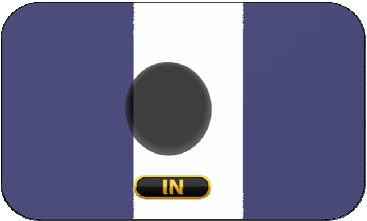 Hawkeye works correctly in that it tracks the ball but an operator mistakenly posts the second bounce to the screen rather than the first. So embarrassment all round and the need for an apology (see pdf). Case against technology: 2-2 . Fig. 4. The bounce mark shown on the TV. Fig 5. The trajectory of Murray’s lob showing the double bounce. HOW ACCURATE DO WE HAVE TO BE? How good does a system have to be to get things right 100% of the time? The system should work at all positions across the playing surface to a high level of accuracy and be at least as good as human judgement, and this is the dilemma. Just what do we mean by accurate? How good is ‘good’ if we only have human decision making to compare to? Take the relatively simple case of a 150 mph (240 kph) tennis serve which is recorded using a standard video camera running at 25 frames per second. When we review the pictures we see that the ball moves over 2 m between each frame (and is blurred at that) we are very unlikely to ever see the ball hit the line. If we invest in a high speed video camera running 10 times faster at 250 frames per second, images of the ball are still 200 mm apart (9 inches) so we increase the frame rate to 2,500 frames per second and get images 20 mm (less than an inch) apart. Running the video backwards and forwards just about allows us to judge whether the ball hits the line (believe me, I’ve spent hours doing this and it’s not easy). To be absolutely sure, we increase the camera’s frame rate massively to 66,000 frames per second to give ourselves 1 mm accuracy when the ball hits the ground. This allows us to truly judge whether any line calling system is accurate. The only problem now is that we still have to judge whether the ball is in or out – of course all we need to do is determine if the ball is touching the line. But the ball is hugely deformed and has wisps of felt sticking out from it. How many wisps of felt constitute ‘contact’? If we zoom in when do we stop? Do we need to consider the number of molecules, atoms or the interaction between the outer electrons of the white paint in the line and the atoms of felt? In using advanced technologies, all we have done is change the decision to be made; we still have to make a judgement. It’s just that before technology, we used our experience and reactions to figure out whether the ball was in or out, or whether there was a goal. By all means have technology (I’m an advocate) at an appropriate level. However, don’t expect it to be foolproof and don’t expect that decisions will be automatic. (1) David Goldblatt, “The Ball is Round: a Global History of Soccer“. Pub Viking Penguin, London, 2006. Why not use sensors on the lines, not video? Maybe heat technology? People have tried all sorts of things in the past including sensors in the lines; the problem is that you have to put something in the ball to make it ‘visible’. People have tried things like metallic powder which interferes with the electromagnetic field from the wire. It does seem that video, though is the most accurate and sensitive. ← How Far Could Usain Bolt Jump?